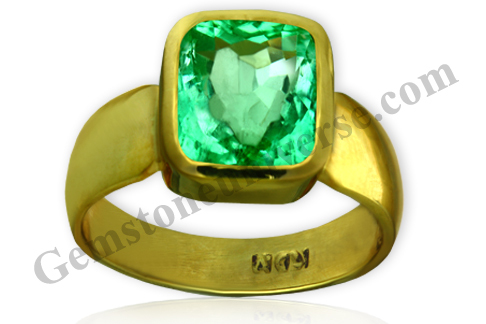 Comments Such a bright rich emerald green unenhanced Colombian Emerald from the famous Coscuez Mines! Exceptional excellence in the 4 Cs of Colour, Clarity, Cut and carat! A gemstone that pleases even the most discerning connoisseur! A rare gemstone with the most powerful energies of the planet Mercury! And acquired by a very special patron! A proud moment for all of us here at Gemstoneuniverse.com!